All of the following envelopes are 24-lb. Wove. 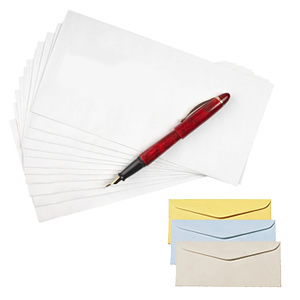 Most envelopes are also available with cotton content. Expedite your clients’ response with an imprinted reply envelope. FREE Ground Shipping on orders over $75 to the Contiguous 48 States.